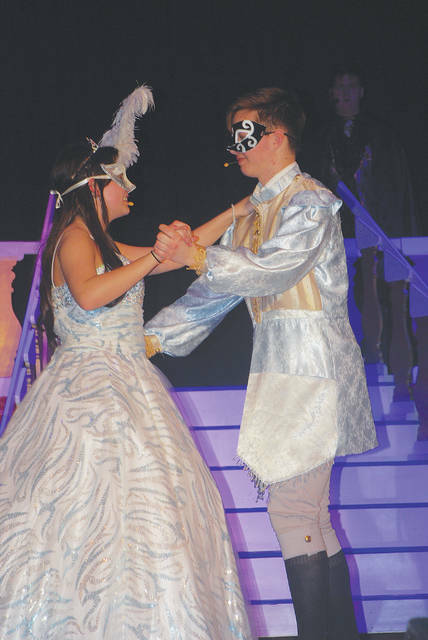 Urbana High School presents Roger and Hammerstein’s ‘Cinderella’ (the Broadway version) today at 7:30 p.m. and Saturday at 2:30 p.m. and 7:30 p.m. The musical, directed by Rusty Myers, features Sydney Mefford as ‘Ella’ and Jaxton Bloemhard as ‘Topher’ (pictured). For tickets, call the Urbana choir office at 653-1423. Tickets are $10 for adults and $5 for the matinee performance. Join us for tea with ‘Cinderella’ after the matinee!